From the first note, you?ll want to jump out of your seat! Orquesta La Moderna Tradicion transports you to an era of sensual danzones and swinging cha-chas ? the music of the Havana social clubs of the 1950's. The only band in the United States that plays this type of music, this ensemble captures the romance and style of a memorable era in Cuban dance music, with a special focus on danzon. 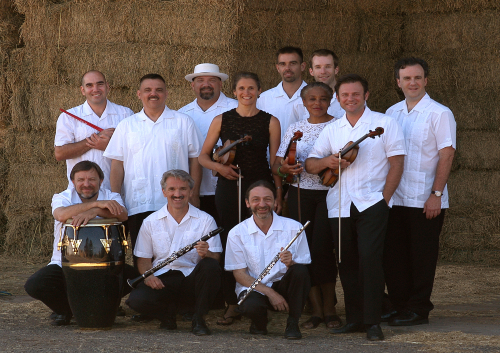 Violins and flutes weave lilting melodies against the backdrop of driving Afro-Cuban rhythms. The orchestra?s repertoire ranges from traditional ballads to the latest salsa and timba grooves with surprising twists. As one critic said: Imagine a blend of Tito Puente and a tango, and you'll begin to get an idea of the power and beauty of this music. Orquesta La Moderna Tradicion has performed at some of the most prestigious festivals and venues in the United States, including Lincoln Center's Midsummer Night Swing, San Francisco Jazz Festival, and the Smithsonian Institution ? their tours have taken them from Alaska to El Paso and abroad. With a broad repertoire of Afro-Cuban music and infectious swing, Orquesta la Moderna Tradici?n makes a rich and exciting addition to any music program!